That Radio Frequency Identification Card (RFID) that everyone carries in every modern office building can be copied, from a few feet away, without it ever coming out of a pocket or bag. That means that your sophisticated RFID card is less secure than a regular old metal key--at least no one can copy your key when it’s in your pocket. When someone walks in with their badge, make sure no one walks in behind them without a badge. Even the most sophisticated companies on the planet are stuck with this terrible security, and they come up with crazy ways to try to make it better. When our Founder/CEO was at Google they had the “Tailgator”, a guy dressed up in an alligator suit who would try to walk in behind you (“tailgate”) when you badged in. At the weekly all-hands meeting, security would play the video of everyone who let in the Tailgator this week. A very low tech solution from a high tech company. 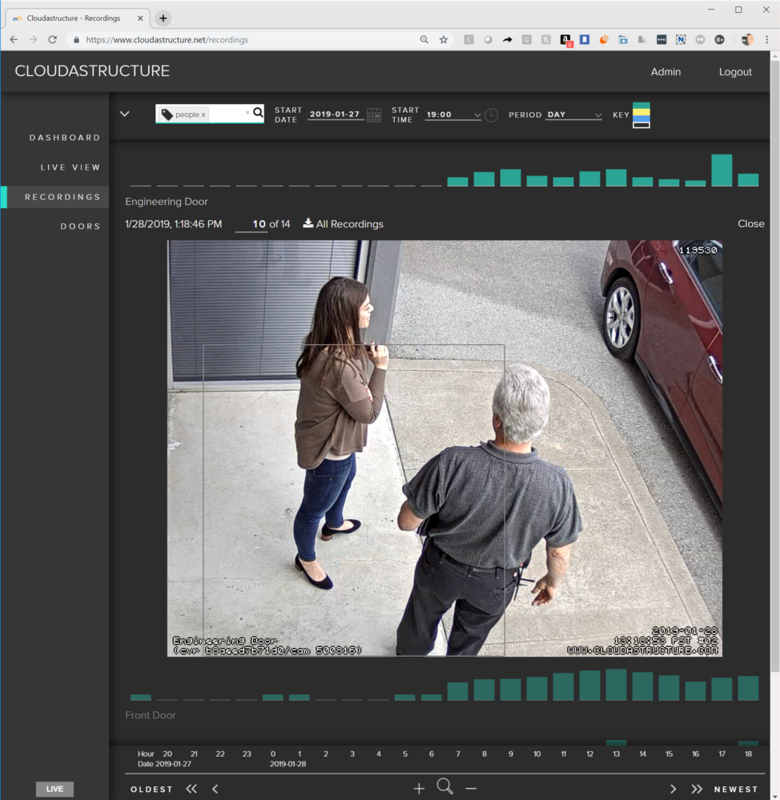 Cloudastructure centralizes the management of access control with video monitoring and allows customers to scale geographically to multiple locations. The Cloudastructure solution delivers the intelligence online while it puts the data safely offsite. The future is more intelligent. Because we manage the door system, we know who badged in where and when. This means that when you swipe your badge we see your face. From real cameras under actual lighting conditions. We are constantly training the system to know what badge holders look like, even as they change makeup, facial hair, glasses, etc. over days, months or years. We can match faces to badges more accurately than any guard. Moreover, again because we manage both doors and cameras, we know when someone badged in, when the door opened, any more badge swipes, and when the door closed. If we see on camera someone following someone in through a door, without swiping a badge, we will detect that as a tailgating event. Better than a guy in an alligator suit. In order to perform these AI features, the information first needs to be in the Cloud. Cloudastructure is doing what Dropbox did for files and Salesforce did for CRM: moving the data to the cloud. As opposed to having data located at the site being secured, security data is stored online and can be accessed from anywhere, and is not at risk itself. Every company used to have an IT closet full of servers. Those servers have been moving to the cloud, and making these new SaaS providers billions of dollars in the process. 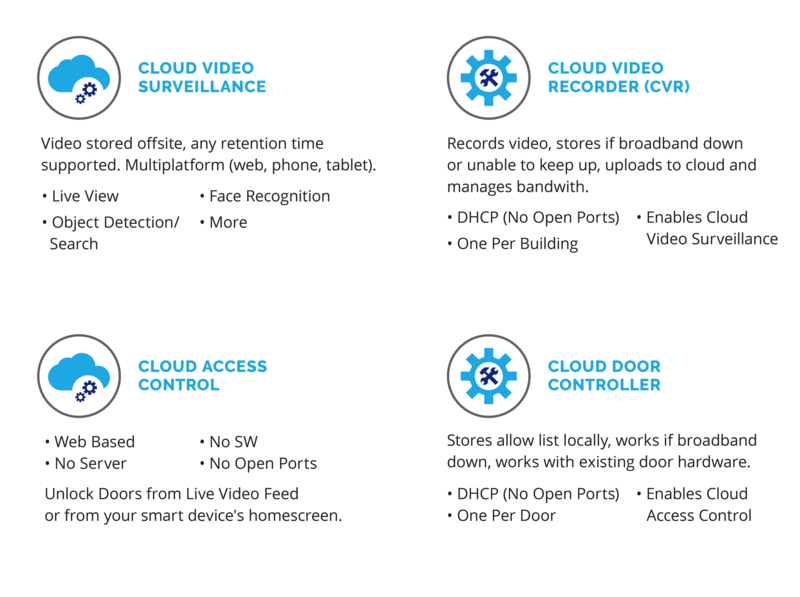 Every building of every company has two servers still left in that closet: access control and video surveillance. Cloudastructure is moving these last two to the cloud. Once the data is in the cloud, we can perform our AI functions. Cloudastructure also offers a variety of artificial intelligence features not found in traditional systems. Tagger generates tags for every object it sees in the video. Things like “animal” or “person” or “vehicle”...Then, we let you search by tag. No more watching branches blow or cars drive by for an hour, just search by "person" and see only videos that have people in them. Smartkey. Use your phone to open your door. It's more secure and you always have your phone with you. Likewise you can see someone live on video and unlock the door for them if they're locked out, dropping off a package, etc. We've gotten to $10,000 monthly recurring revenue. We not only have a low churn rate at less than 5%, but we’re also gaining many new customers thanks to referrals. “With Cloudastructure we no longer have to run on-premises web servers. There are no holes in our firewall or port forwarding in our router. There is no reason why your physical security should weaken your digital security, but that’s exactly what our last system from a major manufacturer did”. We found that we can compete with the incumbents by pricing by the door and camera per year. We make more recurring revenue than they do while still providing a lower TCO (Total Cost of Ownership) to our customers. However, we believe our higher level AI features will allow us to achieve security guard level pricing -- which is much higher than what we charge now. We intend to benefit from this price elasticity. The Cloudastructure hardware utilizes state of the art technology, delivered at a very competitive price that beats the industry standards and comes with zero maintenance or replacement costs with a lifetime warranty. 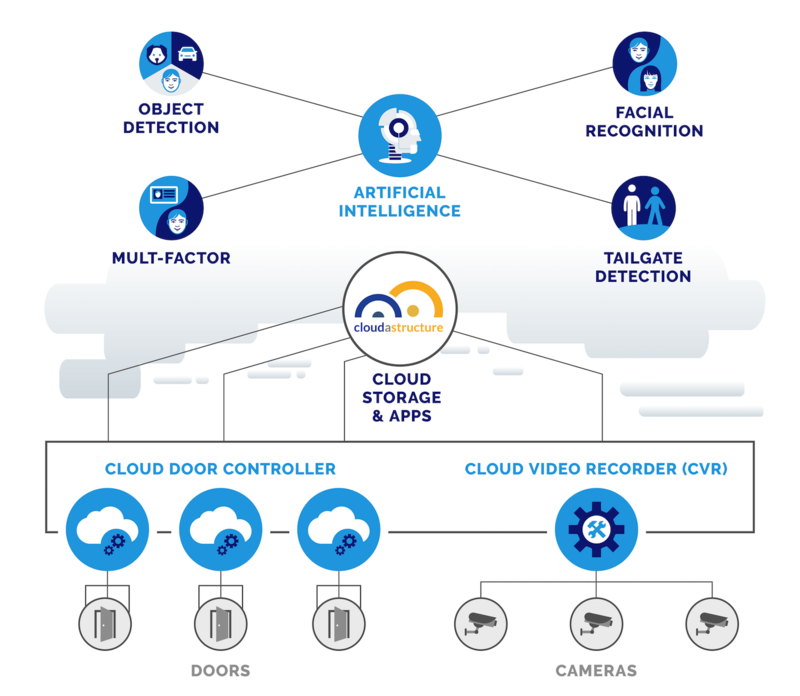 Cloudastructure solution centralizes the management of access control with video monitoring and allows customers to scale geographically to multiple locations. We are using Access Control and Video Surveillance to perform many Manned Guarding duties better than humans can--nearly ⅓ of the $205B security market is addressable by us. Other notable investors include Ralph Eschenbach and Eric Chen. The smallest investment amount that Cloudastructure is accepting. Cloudastructure needs to reach their minimum funding goal before the deadline. If they don’t, all investments will be refunded. If a trigger event for Cloudastructure occurs, the discount provision gives investors equity shares (or equal value in cash) at a reduced price. Cloudastructure needs to raise $25K before the deadline. The maximum amount Cloudastructure is willing to raise is $1.07M. We'll send you a few of our window stickers to keep the bad guys away. You can still invest $1,000 without the perk. 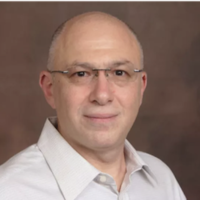 Serial entrepreneur, Softbank and WI Harper backed, last company bought by Uber, former full time advisor to Google X, direct report to Andy Grove, named inventor of a half dozen patents, pilot, dad and fun guy. Data structure and transaction layer genius. Worked at Apple, CTO of a company bought by Facebook and another bought by PeopleSoft/Oracle. He's Russian so he likes Vodka and is crazy smart. Honeywell General Manager, an organization that consulted, sold, installed, and maintained HVAC systems, Fire Alarm, and Security systems in large, commercial buildings. He knows how the incumbents operate and the big companies buy. What is your window sticker I see in the "Perks" section? Keeps the bad guys away! Tim Draper: So welcome to Meet The Drapers. Give us your pitch. 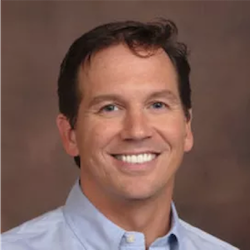 Rick Bentley: Hi, I'm Rick Bentley, CEO and co-founder of Cloudastructure. 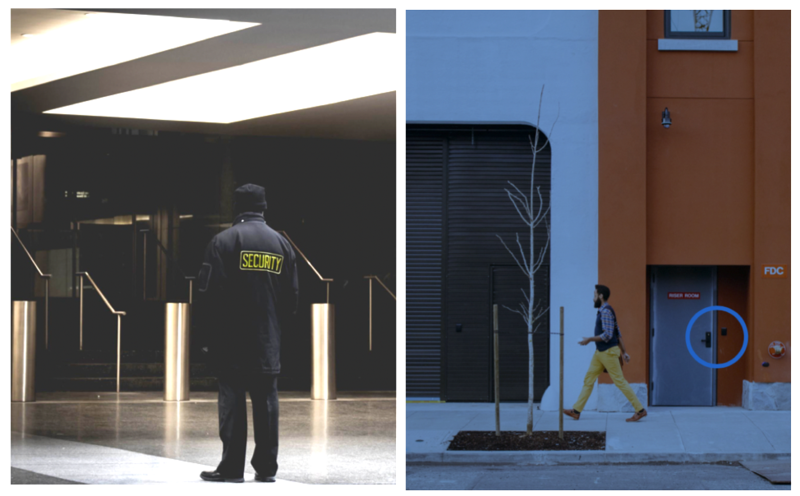 We're bringing artificial intelligence to building security. First thing we do is we get all the video surveillance data offsite into our cloud, along with all the access-controlled data. When you swipe your badge and the door opens. Once it's up there, we do some pretty neat things. When we take all the data, we run it through an indexer. Now you can search for a person, vehicle, whatever. 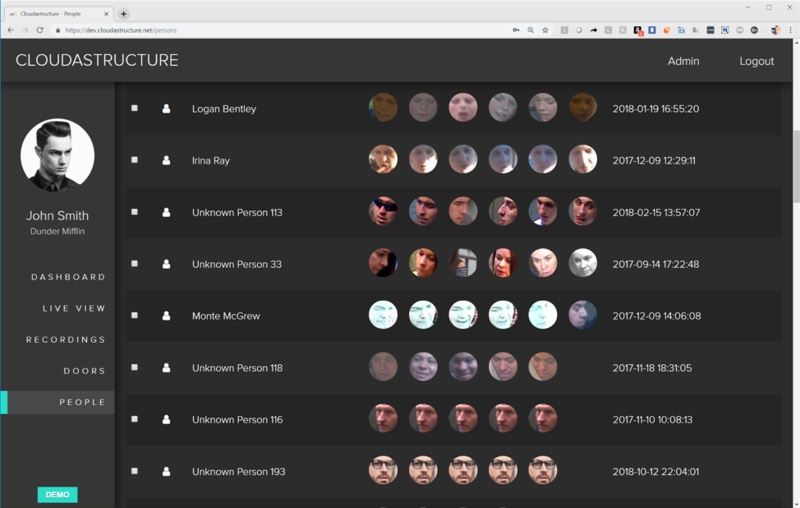 Because we have your badge data, when you badge in, we see your face. Badge in, see your face. Badge in, saw both your faces. You went to lunch together. Badge in, see your face. By the end of the first week, we know what you look like. If I show up with your badge that I found at a bar, it could either flag it or not let me in, depending on your business rules. Bill Draper: This isn't for everybody. It's for people who carry a badge. Rick Bentley: Yeah, it's very enterprise. Tim Draper: Why would an enterprise because concerned with this? Rick Bentley: When I was at Google, we had a guy called the tailgate. He wore an alligator outfit. He'd walk around when you badge in. He'd try walking behind you dressed as an alligator. At the Friday all hands meeting, they showed the video of everyone who let in the alligator that week. This is a constant penetration assessment from competitors, foreign governments, everything, right? They have stuff that's important they need to keep secure. Plus, the safety of their employees and everything else. Adam Draper: So you're solving the alligator problem. Rick Bentley: We're solving the alligator problem, right. No more alligators. Adam Draper: Where's the product today? Do you have customers? Rick Bentley: Yeah. So we're doing $10000 a month recurring revenue, a little more actually. We have the cloud level working. We're just now rolling out the AI features. Tim Draper: I see what the AI features are about. What's the cloud piece of this, without the AI. Rick Bentley: Think of it this way. Look at the IT server closet. It's gone. There used to be an email server. It's now a Gmail or Outlook or Outlook 365 or whatever. There used to be a file server. It's not Dropbox or Box. The first thing we had to do is get the video surveillance server and the access-control server into the cloud where they belong also. Once it's there, you can do this high level stuff that you couldn't afford to do computationally on premise. Adam Draper: And are they your cameras? Tim Draper: It's actually a man, third of a year. 365 cameras. Rick Bentley: Right, but if it's 24 hours and you have 8-hour days. Tim Draper: Oh oh okay. Rick Bentley: Plus weekends. Entrepreneurs have to go to the bathroom and eat. Rick Bentley: So it's a lot. It's overwhelming. So once it's indexed, whatever I'm looking for I can find. That guy spray painting the building went to lunch with Adam a week ago. Adam, who's this guy? Adam Draper: Why are they so mad at you? Bill Draper: Okay, who is interested in this? Who wants to hire you to do this. Rick Bentley: We're finding traction kind of in three areas. Education, utilities, and enterprise. So software companies in the Bay Area. Bill Draper: Take the University of California. Why do they want it? Rick Bentley: In this particular case, a large university customer who I'm not naming jumped in and said, something happens. There's a slip and fall. There's a fight. There's a car crash. We go to get the video. The thing's been offline for two weeks. They can send us an email that this disk is full. They can't send us an email if it crashes or gets unplugged. It's just impossible to manage. Once you pull out into the cloud, it's a one-stop-shop. Here's my dashboard, how everything's doing. Adam Draper: How much do you get paid? Rick Bentley: So we charge $249 per year per camera, and $199 per year per door. It's enterprise [inaudible 00:20:29]. Adam Draper: And what's your experience? Rick Bentley: My background is Physics Engineering from UC Berkeley. I was at General Magic. Tim Draper: Just raised a ton of money. Rick Bentley: Oh was that fun? Tim Draper: They are, I bet you had fun while you were there. Why did you leave General Magic, and where'd you go from there? Rick Bentley: I started TeleVoke. TeleVoke was connecting people to things in 1998 before there was an "Internet of Things." Tim Draper: And what happened to that business? Rick Bentley: We pitched the Drapers back them. This is actually the second time we met. Tim Draper: You did look familiar. Bill Draper: And we decided not to do it? Rick Bentley: You decided not to invest. Bill Draper: How did we make that ...? Tim Draper: Did we make-, wait, wait. Let's find out what happened. Did the investors make money on that one? Rick Bentley: Some did. Some didn't. Remember, we closed our first financing in January 2000. We got offered to get bought by Ford for $20 million when I only had 3 in the door. We took the offer and then the Ford CFO shut down anything that was not profitable. So it kind of pulled the rug out from underneath our deal. So then we merged another privately held company and changed the name to Dakarta. Dakarta got bought by Uber after a long fuse for $215. Bill Draper: You had other outside investors? Bill Draper: And how much did they make on their return? Rick Bentley: Depends which round. So the last round was the money round. The down round's the money round isn't that the saying? Adam Draper: Why are you excited about this? Rick Bentley: It has to happen. Video needs to be indexed or it's not useful. The guy at the front desk, when you badge in, he's making sure your face matches your badge. Doesn't matter if you're 5'6 or 6'4, right? Your picture comes up and that's it. He lets you through. I can use your badge. You can use my badge. I can use your badge. You can use my badge. We could badge in and out. Adam Draper: Oh, no he's got big eyebrows. Rick Bentley: I could do a little pre [inaudible 00:22:11] makeup. Rick Bentley: There's a video on our homepage of me breaking into Google, Facebook and Palantir because I have a messenger bag with a card reader in it. And I can just walk past you just because we are in this meeting together on the elevator, at the coffee shop in the line at Starbucks. I can read your badge. I know how your badge is a unique ID. I can put that in another badge. I can badge in as you. It is criminally insecure. If you'd like, I'll break in here tonight and leave my business card on your office door. Tim Draper: Probably wouldn't be too tough. Adam Draper: That wouldn't do you any technology. We've got a lot of alligators. Tim Draper: Did you write the software? Rick Bentley: No, I didn't write this software. Rick Bentley: My background is technical, but I'm the fundraiser, the sales guy. Tim Draper: Who's written this? Rick Bentley: We have a team of about a half dozen of us. Tim Draper: And they're full time with the company or they're doing other things too? Rick Bentley: I mean, my Ethereum is a hobby so we're all doing something on the side. Like, everyone around here I think. But yeah, this is a full time team. Tim Draper: Well, great. Well, thank you so much for coming to Meet The Drapers. Rick Bentley: Thanks, real pleasure. Tim Draper: Terrific, yeah. Nice to see you. Rick Bentley: Real pleasure. Great to see you again. Rick Bentley: I have so much more to say. I got more demos. I got a product I can show. I could have been in there for two hours having a great time. We're bringing AI to something that every enterprise has. How many businesses have doors? They all do. They all need security. We provide what's- We're providing them the future. What's happening next is going to be the building is smarter and knows what's going on. I challenged I'd break in tonight and leave my card behind, so maybe I'll actually do it. Tim Draper: So let's see what our judges thought of Cloudastructure. Adam Draper: I think he wants to win. He wants to hustle. He's had one reasonable small exit. Bill Draper: He's obviously an entrepreneur. Bill Draper: In a lot of ways. Tim Draper: Good salesman, and I lose a lot of money on good salespeople. Tim Draper: Yeah, that's true. Tim Draper: If you are an enterprise, the good salespeople are extraordinarily valuable. Bill Draper: It's more than that. I think he really was a good overall entrepreneur. Tim Draper: He was upset that we didn't back him, but then we would have lost our money. We were early. Bill Draper: That's what he said. Tim Draper: We were early. We weren't last investor. So I was thinking, you were upset but ... we would have been really upset. Bill Draper: That's the only problem that I've got with it. That I have a feeling that he may not be a steady follow through, get this job done right and make sure and make money for everybody. Tim Draper: I'm concerned about the market, too. I think it is really interesting. This is a great use of artificial intelligence and putting different things together, but people don't like spending on security. That is a real struggle because people don't even want to think about it, and then they think about it when something happens. Bill Draper: Yeah, but think of big institutions. Bill Draper: I mean, they have somebody that is just in charge of security. Tim Draper: Yeah, the big institutions move really slowly. It'd sink his business. Adam Draper: But they also have a huge bucket of money that is geared towards security. So he knows where that pot of money is that he would be selling to. Adam Draper: He knows. He knows exactly. He'll find it. Bill Draper: I would back him. Tim Draper: Okay, well let's find out what the crystal ball thinks. Eenie, beenie, crystal ball, tell us. Do we want Cloudastructure? I got it. Okay, thumbs up. Thumbs down. Thumbs down all around. Two up, one down. This is our thing. We have two up, one down each time. Adam Draper: We should never do the deal if we all do thumbs up. Tim Draper: Yeah, probably not. Probably not. But it's not up to us it's up to you, the viewers. Go to MeetTheDrapers.com and you can vote and invest. This is the only show in the world ever that allows you to invest in the companies that you see us interview while on Meet The Drapers. So this is awesome, and go ahead. Give it a shot. So let's bring on the next entrepreneur but before we do, let's see what's going on behind the scenes. And the eyebrows are genetic, apparently. We face competition with respect to any products that we may seek to develop or commercialize in the future. Our competitors include major companies worldwide. Many of our competitors have significantly greater financial, technical and human resources than we have and superior expertise in research and development and marketing approved products and services and thus may be better equipped than us to develop and commercialize products and services. These competitors also compete with us in recruiting and retaining qualified personnel and acquiring technologies. Smaller or early-stage companies may also prove to be significant competitors, particularly through collaborative arrangements with large and established companies. Accordingly, our competitors may commercialize products more rapidly or effectively than we are able to, which would adversely affect our competitive position, the likelihood that our products and services will achieve initial market acceptance and our ability to generate meaningful additional revenues from our products. We rely on other companies to provide, major components and subsystems for our products. We depend on these suppliers and subcontractors to meet our contractual obligations to our customers and conduct our operations. Our ability to meet our obligations to our customers may be adversely affected if suppliers or subcontractors do not provide the agreed-upon supplies or perform the agreed-upon services in compliance with customer requirements and in a timely and cost-effective manner. Likewise, the quality of our products may be adversely impacted if companies to whom we delegate manufacture of major components or subsystems for our products, or from whom we acquire such items, do not provide major components and subsystems which meet required specifications and perform to our and our customers’ expectations. Our suppliers may be less likely than us to be able to quickly recover from natural disasters and other events beyond their control and may be subject to additional risks such as financial problems that limit their ability to conduct their operations. The risk of these adverse effects may be greater in circumstances where we rely on only one or two subcontractors or suppliers for a particular component or subsystem. As a distributor of video surveillance and access control products, our business depends on developing and maintaining close and productive relationships with our vendors. We collect and store sensitive data, including intellectual property, our proprietary business information and that of our customers, suppliers and business partners, and personally identifiable information of our customers and employees, in our data centers and on our networks. The secure processing, maintenance and transmission of this information is critical to our operations and business strategy. Despite our security measures, our information technology and infrastructure may be vulnerable to attacks by hackers or breached due to employee error, malfeasance or other disruptions. Any such breach could compromise our networks and the information stored there could be accessed, publicly disclosed, lost or stolen. Any such access, disclosure or other loss of information could result in legal claims or proceedings, liability under laws that protect the privacy of personal information, and regulatory penalties, disrupt our operations and the services we provide to customers, and damage our reputation, and cause a loss of confidence in our products and services, which could adversely affect our business/operating margins, revenues and competitive position. The secure processing, maintenance and transmission of this information is critical to our operations and business strategy, and we devote significant resources to protecting our information. The expenses associated with protecting our information could reduce our operating margins. 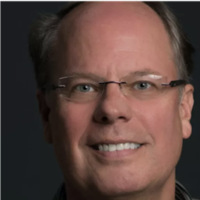 In particular, the Company is dependent on S. Richard Bentley, Gregory Rayzman, Craig Johnson, and Bruce Durham, who are CEO, CTO, Vice President of Sales, and Vice President of Engineering, of the Company, respectively, and Ralph Eschenbach, and Elizabeth Fetter who are both directors of the Company. The Company has or intends to enter into employment agreements with S. Richard Bentley, Gregory Rayzman, Craig Johnson, and Bruce Durham although there can be no assurance that it will do so or that they will continue to be employed by the Company for a particular period of time. The loss of S. Richard Bentley, Gregory Rayzman, Craig Johnson, Bruce Durham, or any member of the board of directors or executive officer could harm the Company’s business, financial condition, cash flow and results of operations. 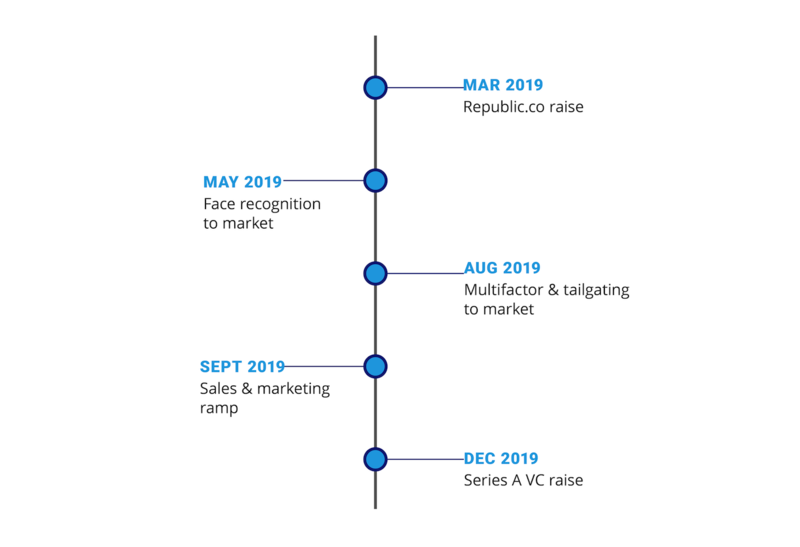 In order to achieve the Company’s near and long-term goals, the Company will need to procure funds in addition to the amount raised in the Offering. There is no guarantee the Company will be able to raise such funds on acceptable terms or at all. If we are not able to raise sufficient capital in the future, we will not be able to execute our business plan, our continued operations will be in jeopardy and we may be forced to cease operations and sell or otherwise transfer all or substantially all of our remaining assets, which could cause an Investor to lose all or a portion of his or her investment. The Company is dependent on S. Richard Bentley, Gregory Rayzman, Craig Johnson, Bruce Durham, Ralph Eschenbach, and Elizabeth Fetter in order to conduct its operations and execute its business plan, however, the Company has not purchased any insurance policies with respect to those individuals in the event of their death or disability. Therefore, if any of these individuals die or become disabled, the Company will not receive any compensation to assist with such person’s absence. The loss of such person could negatively affect the Company and its operations. Failure to develop new products and production technologies or to implement productivity and cost reduction initiatives successfully may harm our competitive position. We depend significantly on the development of commercially viable new products, product grades and applications, as well as process technologies, free of any legal restrictions. If we are unsuccessful in developing new products, applications and production processes in the future, our competitive position and results of operations may be negatively affected. However, as we invest in new technology, we face the risk of unanticipated operational or commercialization difficulties, including an inability to obtain necessary permits or governmental approvals, the development of competing technologies, failure of facilities or processes to operate in accordance with specifications or expectations, construction delays, cost over-runs, the unavailability of financing, required materials or equipment and various other factors. Likewise, we have undertaken and are continuing to undertake initiatives to improve productivity and performance and to generate cost savings. These initiatives may not be completed or beneficial or the estimated cost savings from such activities may not be realized. Product liability claims could adversely impact our business and reputation. Our business exposes us to potential product liability risk, as well as warranty and recall claims that are inherent in the design, manufacture, sale and use of our products. We sell products in the physical security industry where the impact of product liability risk is high. In the event our products actually or allegedly fail to perform as expected and we are subject to such claims above the amount of insurance coverage, outside the scope of our coverage, or for which we do not have coverage, our results of operations, as well as our reputation, could be adversely affected. Our products may be subject to recall for performance or safety-related issues. Product recalls subject us to harm to our reputation, loss of current and future customers, reduced revenue and product recall costs. Product recall costs are incurred when we, either voluntarily or involuntarily, recall a product through a formal campaign to solicit the return of specific products due to a known or suspected performance issue. Any significant product recalls could have an adverse effect on our business and results of operations. We may incur additional expenses and delays due to technical problems or other interruptions at our manufacturing facilities. Disruptions in operations due to technical problems or other interruptions such as floods or fire would adversely affect the manufacturing capacity of our facilities. Such interruptions could cause delays in production and cause us to incur additional expenses such as charges for expedited deliveries for products that are delayed. Additionally, our customers have the ability to cancel purchase orders in the event of any delays in production and may decrease future orders if delays are persistent. Additionally, to the extent that such disruptions do not result from damage to our physical property, these may not be covered by our business interruption insurance. Any such disruptions may adversely affect our business and results of operations. Any disruption in our information systems could disrupt our operations and would be adverse to our business and results of operations. We depend on various information systems to support our customers’ requirements and to successfully manage our business, including managing orders, supplies, accounting controls and payroll. Any inability to successfully manage the procurement, development, implementation or execution of our information systems and back-up systems, including matters related to system security, reliability, performance and access, as well as any inability of these systems to fulfill their intended purpose within our business, could have an adverse effect on our business and results of operations. Such disruptions may not be covered by our business interruption insurance. The potential impact of failing to deliver products on time could increase the cost of our products. In most instances, we guarantee that we will deliver a product by a scheduled date. If we subsequently fail to deliver the product as scheduled, we may be held responsible for cost impacts and/or other damages resulting from any delay. To the extent that these failures to deliver occur, the total damages for which we could be liable could significantly increase the cost of the products; as such, we could experience reduced profits or, in some cases, a loss for that contract. Additionally, failure to deliver products on time could result in damage to customer relationships, the potential loss of customers, and reputational damage which could impair our ability to attract new customers. Many of our customers do not commit to long-term production schedules, which makes it difficult for us to schedule production accurately and achieve maximum efficiency of our manufacturing capacity. Many of our customers do not commit to firm production schedules and we continue to experience reduced lead-times in customer orders. Additionally, customers may change production quantities or delay production with little lead-time or advance notice. Therefore, we rely on and plan our production and inventory levels based on our customers’ advance orders, commitments or forecasts, as well as our internal assessments and forecasts of customer demand. The variations in volume and timing of sales make it difficult to schedule production and optimize utilization of manufacturing capacity. This uncertainty may require us to increase staffing and incur other expenses in order to meet an unexpected increase in customer demand, potentially placing a significant burden on our resources. Additionally, an inability to respond to such increases may cause customer dissatisfaction, which may negatively affect our customers’ relationships. Further, in order to secure sufficient production scale, we may make capital investments in advance of anticipated customer demand. Such investments may lead to low utilization levels if customer demand forecasts change and we are unable to utilize the additional capacity. Additionally, we order materials and components based on customer forecasts and orders and suppliers may require us to purchase materials and components in minimum quantities that exceed customer requirements, which may have an adverse impact on our results of operations. Such order fluctuations and deferrals may have an adverse effect on our business and results of operations. Our operating results, business and financial condition could be significantly harmed by an extended economic downturn or future downturns, especially in regions or industries where our operations are heavily concentrated. Further, we may face increased pricing pressures during such periods as customers seek to use lower cost or free services, which may adversely affect our financial condition and results of operations. We derive significant revenue and profit from commercial and federal government contracts awarded through competitive bidding processes, including renewals, which can impose substantial costs on us. Many of these contracts are extremely complex and require the investment of significant resources in order to prepare accurate bids and proposals. Competitive bidding imposes substantial costs and presents a number of risks, including: (i) the substantial cost and managerial time and effort that we spend to prepare bids and proposals for contracts that may or may not be awarded to us; (ii) the need to estimate accurately the resources and costs that will be required to implement and service any contracts we are awarded, sometimes in advance of the final determination of their full scope and design; (iii) the expense and delay that may arise if our competitors protest or challenge awards made to us pursuant to competitive bidding, and the risk that such protests or challenges could result in the requirement to resubmit bids, and in the termination, reduction, or modification of the awarded contracts; and (iv) the opportunity cost of not bidding on and winning other contracts we might otherwise pursue. Adverse events or developments in any of these bidding risks and uncertainties could materially and negatively impact our business and results of operations. In addition to the technologies we develop, our suppliers develop product innovations at our direction that are requested by our customers. Further, we rely heavily on our component suppliers to provide us with leading-edge components that conform to required specifications or contractual arrangements on time and in accordance with a product roadmap. If we are not able to maintain or expand our relationships with our suppliers or continue to leverage their research and development capabilities to develop new technologies desired by our customers, our ability to deliver leading-edge products in a timely manner may be impaired and we could be required to incur additional research and development expenses. Also, disruption in our supply chain or the need to find alternative suppliers could impact the costs and/or timing associated with procuring necessary products, components and services. Similarly, suppliers have operating risks that could impact our business. These risks could create product time delays, inventory and invoicing problems, staging delays, and other operational difficulties. Many components, including those that are available from multiple sources, are at times subject to industry-wide shortages and significant commodity pricing fluctuations. While the Company has entered into agreements for the supply of many components, there can be no assurance that we will be able to extend or renew these agreements on similar terms, or at all. A number of suppliers of components may suffer from poor financial conditions, which can lead to business failure for the supplier or consolidation within a particular industry, further limiting our ability to obtain sufficient quantities of components. The follow-on effects from global economic conditions on our suppliers, also could affect our ability to obtain components. Therefore, we remain subject to significant risks of supply shortages and price increases. The supply of components for a new or existing product could be delayed or constrained, or a key manufacturing vendor could delay shipments of completed products to us adversely affecting our business and results of operations. Certain Purchasers of the Securities, “Major Investors”, will receive pro-rata rights through the Offering, allowing them to avoid dilution in future rounds. Certain Purchasers of the Securities, “Major Investors”, will receive pro-rata rights through the Offering, allowing them to avoid dilution in future rounds. As only Purchasers with sufficient net-worth and income will be able to make an investment of $25,000 or greater in a 4(a)(6) Offering, due to the unique investment limits associated with a 4(a)(6) Offering. This means certain Purchasers, Major Investors, will gain the right to continue investing the in Company and avoid dilution while others will not. Major Investors will have the right to participate in new securities offerings unless the securities (i) are issued as a dividend or distribution on outstanding securities, (ii) are issued upon conversion or exercise of outstanding securities, (iii) are issued to employees, directors or consultants pursuant to a plan, agreement or arrangement approved by the Company’s Board of Directors, (iv) are issued pursuant to the acquisition of another corporation or its assets by the Company, or (v) up to one million dollars ($1,000,000), of such, are issued by the Company annually to fund obligations to make cash dividends or interest payments on outstanding securities. Due to the nature of the discount rate of the Crowd Safe, when forecasting the hypothetical value of their holdings in different liquidity event scenarios, Investors should consider the overall valuation of the Company in addition to their individual return. In a liquidity event in which the value of an Investor’s stake is determined by the discount method (that being situations where applying the Valuation Cap results in a lower return for such Investor), the Investor’s individual return will be the same regardless of the Company’s valuation. As an example, a $1,000-dollar investment in Crowd Safe units of a hypothetical company with a discount of 20% and a valuation cap of $10 million would result in a $250 return upon a liquidity event in which the company is valued at either $5 million or $10 million. However, Investors should consider that an ownership stake in a higher-valued company is generally preferable to an ownership stake with the same absolute value in a lower-valued company. The higher-valued company will have been assessed by the market to be worth more and will have additional funding with which to pursue its goals and is therefore more likely to produce greater returns to the Investor over the longer term. The Company has multiple notes outstanding beyond their stated maturity date. The Company has previously made multiple issuances of convertible notes that remain outstanding beyond their stated maturity dates. To date, the Company has not defaulted due to a lack of a demand for payment by holders of such notes. You should be aware that the holders of such notes may make a demand for payment at any time, putting the Company in default on its obligations for repayment of such notes. If the Company does default on any such notes, you may risk the loss of your entire investment. The video done by the founder sold me. I think there is so much room for this type of business and it’s only growing from company to another company. It will very interesting to see where this company will be in the future. Tons of potential 👍. Invested because I like their vision and what they are building. I am soon to start work in financial tech and security will be my specialism, the idea of utilizing AI to help is something I align with strongly. I believe the future is AI.